works by Mimi Sammis and Christiane Corbat. Activities on the Quad Hosted by Center for Nonviolence & Peace Studies. Peace Flag Project Workshop. 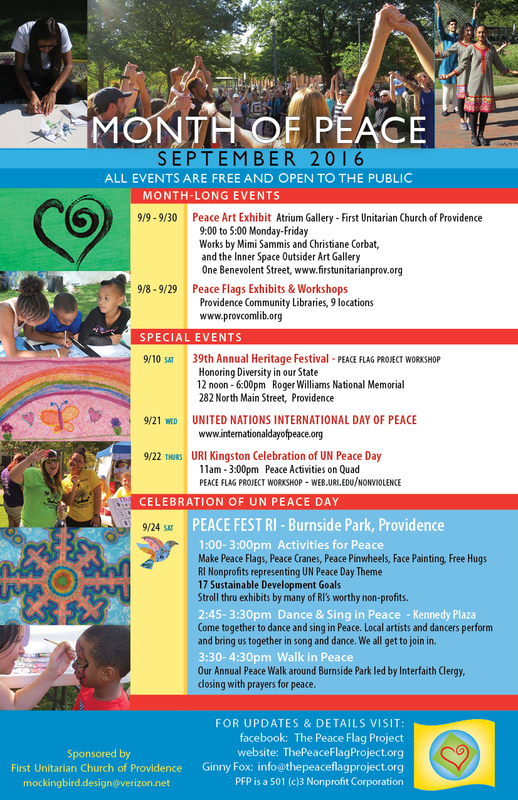 Come together to Dance in Peace in Kennedy Plaza. Local artists and dancers perform and bring us together in song and dance. We all get to join in. 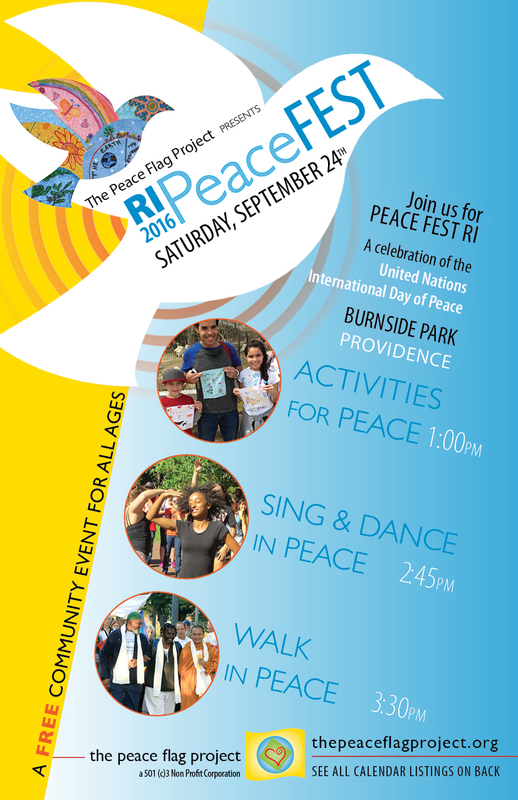 Our Annual Peace Walk around Burnside Park led by Interfaith Clergy. Closing Ceremony with Prayers for Peace.